The Kawartha Camp Chair weighs in at a mere 1lb, 7oz with unfolded dimensions of 26" x 21" x 21", while only 14" x 5" folded up. 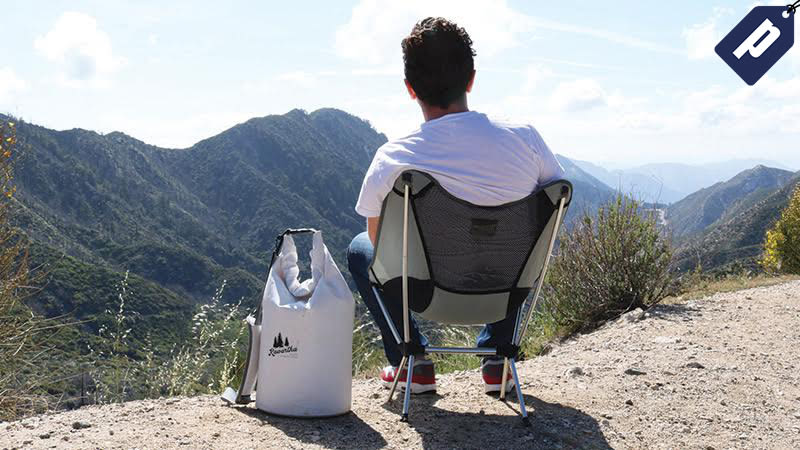 It has a weight capacity of 250 pounds and is the perfect companion for any outdoor adventure this Spring. Enter in code JUN50CC at checkout and save 50% ($35). Full details here.